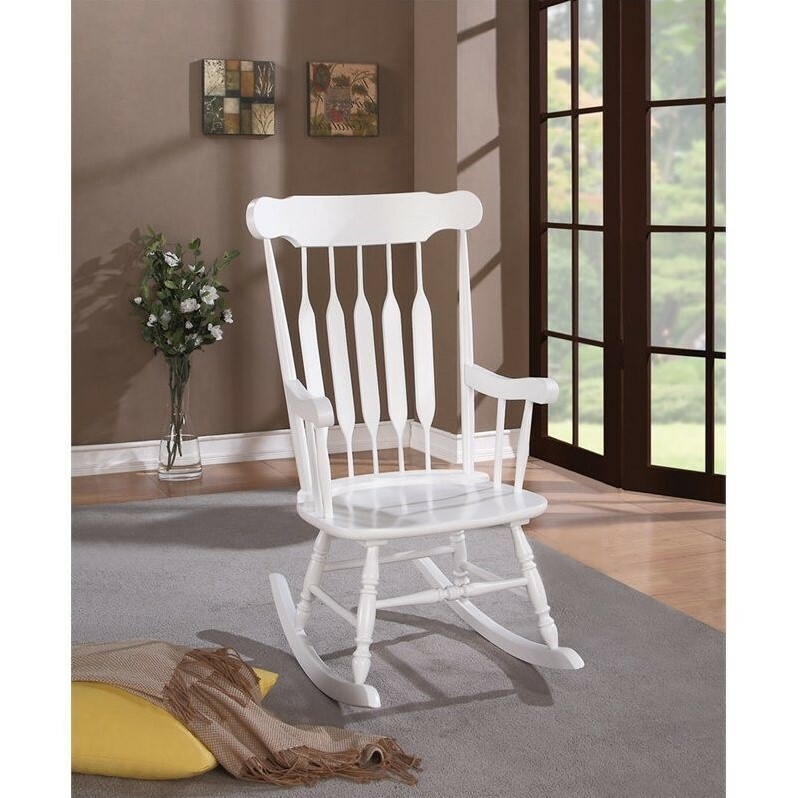 Are you looking for a classic rocking chair for the living room, an enclosed patio, or even a nursery? This beautiful rocking chair features a traditional form for charming nostalgia. Sturdy wood construction ensures your family can enjoy this piece for years to come. Enjoy this chair as it is or add your own seat cushion for additional decorative flair.